It was right here in this place. stood soldiers row on row. it was a day much like today. They stood prepared to die. 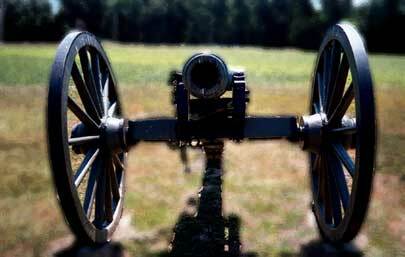 American soldiers fought and died in places like Manassas and Fredericksburg - places through which I travel all the time. My home state is Virginia, where reminders of our horrendous war are everywhere. Place names, historic buildings, battlefields, and cemeteries all present the reality of a huge conflict. In spite of urban sprawl, many battlefields are preserved in their historical appearance. There I sometimes pause to wonder at the terrible carnage that people inflicted upon each other - and realize that the American Civil War was not that long ago. This is not ancient history, and the effects of this war are still with us today. Note: Dr. Poland retired from NVCC in 2015 after many wonderful years of teaching. 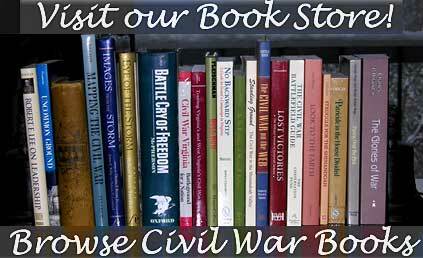 Visit my Civil War Book Store! These pages reflect 20 seasons of field trips taken as part of a class with Northern Virginia Community College, Annandale Campus. 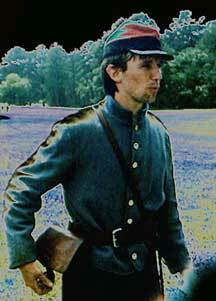 Our leader is Professor Charles P. Poland; the course is "Advanced Civil War." This is a work in progress. Thanks for visiting. Disclosure: When you buy an item from Amazon through this site they give me a small credit towards my future purchases.